Today’s writing is really a What I Did On My Spring Break letter. Remember writing that specific “what I did” essay in school? As if going back to school wasn’t bad enough, the teachers made us write about our summer vacations during the first week of school. For me (and for Gracie Lee), that essay served one purpose. It was a depressing reminder that barefoot lake days were over. For the foreseeable future I would be spending a bunch of hours sitting at my school desk looking at the back of Timmy Stone’s head. Nothing against Timmy Stone. We were good friends. It’s just that we sat in alphabetical order, you know. As we fast forward from elementary school to last week, I hope you enjoyed your first few official days of spring! So what did we do? We talked about going to Hot Springs. Or Branson. 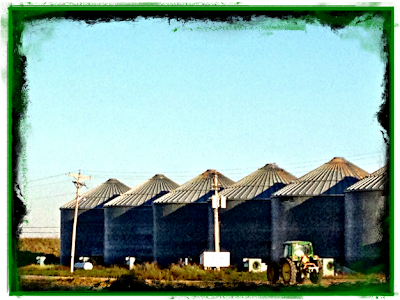 Or hitting the road for a destination unknown road trip. But instead, we spent as much time as the weather and our energy would allow working in our yard, prepping beds, transplanting plants, raking and bagging leaves, sowing grass seed. I discovered lots of life underneath all those soggy leaves. Our redbuds are about to burst into bloom. The coreopsis is reawakening after a long nap. What a magical time of year this is with obvious change blooming every hour of every day. How lucky are we that we both thrive on digging in the soil?! The only place we really “went” during spring break was White River Nursery. And we went twice. On the first day of spring we bought three native coneflower plants because a) you can’t have too many coneflowers, and b) it was the first day of spring! The day was sunny and warm and close to perfection. 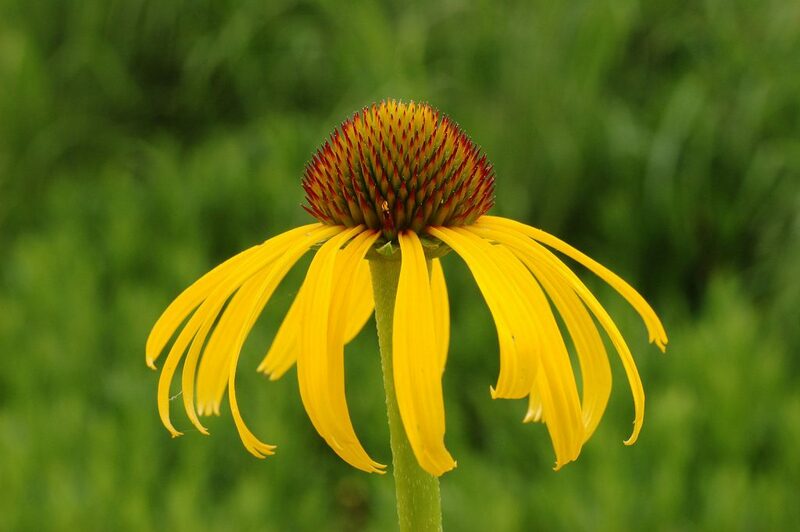 Native coneflowers have yellow petals with copper or brown cone-shaped seed heads. The scientific name is Echinacea Paradox. (A paradox because they are yellow instead of purple.) These prairie flowers are native to Missouri and Arkansas, deer resistant (yay! ), and a favorite of butterflies, hummingbirds, songbirds, beneficial pollinators/insects. We have lots of purple coneflowers in our front beds, but I’ve been wanting to add more native yellows, so I was happy to find these. White River is my favorite place for native plants, and the folks there are super knowledgeable and friendly. Oh, and they just received a shipment of native shrubs and trees. Go see for yourself! On the third day of spring, we came home with a whole truckload of natives for a new bed we are designing at the back of our property. Fayetteville friends: If you sign up to receive their newsletter, you’ll get $5 off your next purchase of $25 or more. Plus they give a discount to Botanical Garden of the Ozark members. A few days ago I noticed this hashtag trending on Twitter: #TheBestPartofBeingaKid. This got me to thinking about all the great things about childhood, things we didn’t much appreciate at the time because they were just normal, everyday things. And depending upon the decade of your childhood, your #bestpart probably looked different than mine. I began making a list of the best childhood things. I quickly filled two pages in my journal and could have continued for days. I’ll stop here, but I have lots more items on my list. As good as the week was, it ended on a sad note. Saturday, Momma’s cat, Gabby, died. Life is so incredibly hard sometimes. And there aren’t many things worse than the loss of a pet. #TheWorstPartOfBeingAHuman – am I right? A nice gentle rain fell for much of the afternoon. And so we sat on the porch and listened to the sound of it. The rain and the birds chirping and the rocking of the chair against the porch floor. A peaceful reminder of good even during sadness. I can’t go to church this week. I would cry. I am writing my childhood list. Lots of good memories!! It was a lovely spring break. We did lots of eating out and some hiking. The woods were wonderful. I am sorry for your mom’s loss. There is never a good time to lose pets. Thanks, Cathy. Eating and hiking sounds perfect. Your Spring break sounds perfect and your childhood seems pretty awesome too. My Spring break (lol) consisted of getting out of the house and exploring the outdoors walking all over our land. I searched for wild flowers but nothing is showing up yet. I heard frogs peeping and I saw a pair of geese on the river. I think they are getting ready to start a family. I’m so sorry to hear about Barbara’s cat, Gabby passing. Maybe she will get some comfort sharing Staci’s Sammy. Have a great week. Thanks, Colene. I enjoy your outdoor pictures and I’m glad you are no longer snowed in! My list of best childhood things will be long, too! I’m so glad you got to spend time with family AND that you are ready to write again!